Impressed by the faithfulness of the Thessalonians in the face of persecution, Paul wrote to encourage the Christians in that community. 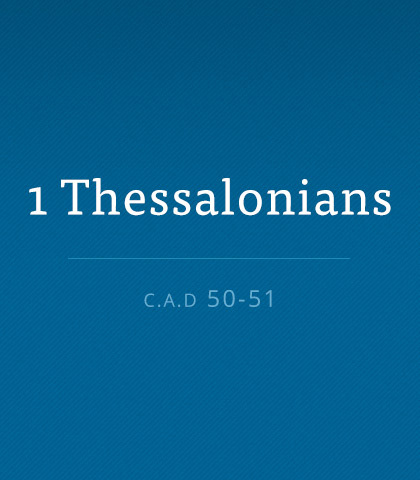 Read more about the book of First Thessalonians. While parents need to stand firm on issues that call for a strong hand, disciplining our children must never eclipse delighting in them! Throughout the fabric of Scripture, God has woven numerous statements underscoring the importance of not only expressing but also demonstrating affirmation, encouragement, gentleness, fun, tenderness, and affection toward our children. There can be no more reliable authority on earth than God’s Word, the Bible. This timeless, trustworthy source of truth holds the key that unlocks life’s mysteries. I remember Mom crying a lot and Dad reminding, “Don't forget where you come from son and don't forget to call.” He told me that they would always love me and trust me to be faithful to God now that I'm away from home. Priorities govern the words of spiritual nourishment that come from the pulpit. It’s easy to see a church’s priorities when the ministry is just starting out, when the ink of the congregation’s ideals is still wet on the paper. But later on, when storms roll in, the priority list can get blown away in a gust of confusion.